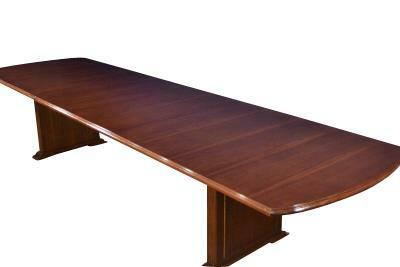 Extra long mahogany conference table extends to seat 18-20 people. Description: This conference room table is perfect for any high end business that hosts very large meetings. With three 24 inch leaves the table is expandable all the way out to 190 inches! With a starting size of 118 inches its pefect for 8 people to spread out with paperwork. An additional center support is used when the table is fully expanded making this a very sturdy table. The field is a classic straight grain mahogany with no banding. 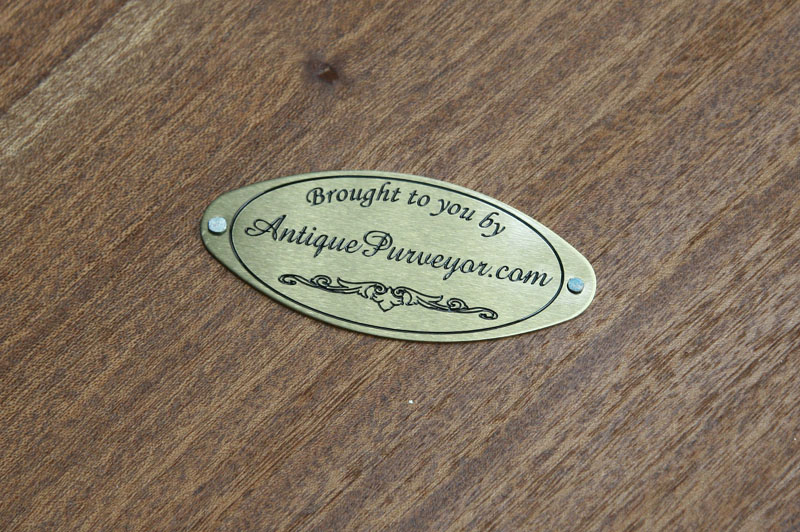 It has solid mahogany carved edges and may be used with classic conference room bases or can be upgraded to fancier bases. There may be more expensive conference tables for sale, but I doubt you'd be able to find this much quality in another table.